About us - Refima s.r.o. 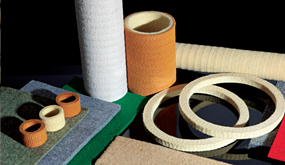 Supplementary production is composed by elaboration and adaptation of non - metallic materials, e.g. 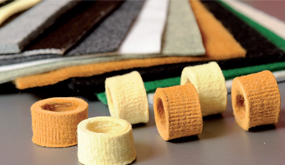 : leather, leatherette, foam rubber, PUR foam, industry and technical textiles, gum, clothes, graphite, paper, board, cork and many others. to be an excellent company, which supplies a complete and connected offer of elaborating and adaptation of non - metallic materials in engineering, textile, leather, shoe, furniture and electro - technical industry..
REFIMA is certificated according to ISO 9001:2016.